XP is short for Experience Points, also known as SqwishPoints here in SqwishLand. XP is the mystical energy gathered by SqwAvatars in order to level up. When a SqwAvatar levels up, this XP energy is transformed into a cool new item or skill for the SqwAvatar to use in their adventure through SqwishLand! 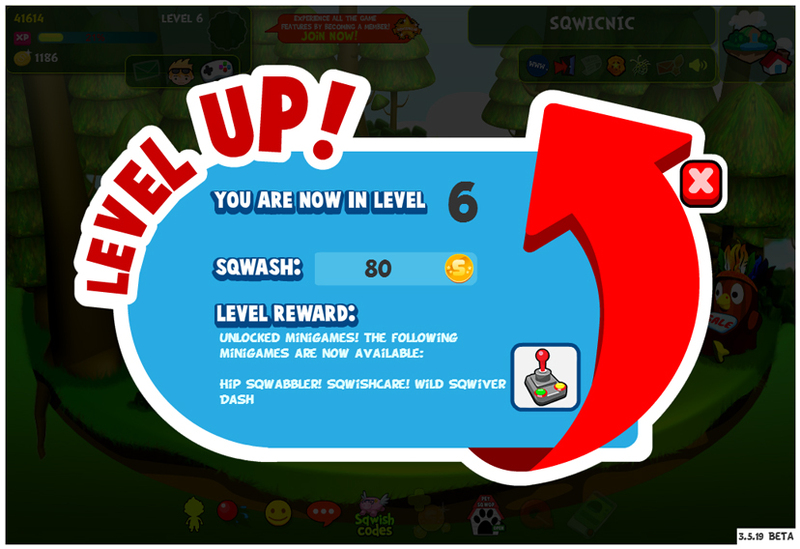 You can earn SqwishPoints by performing certain actions along your journey in SqwishLand such as playing mini-games, completing missions, and performing side quests.